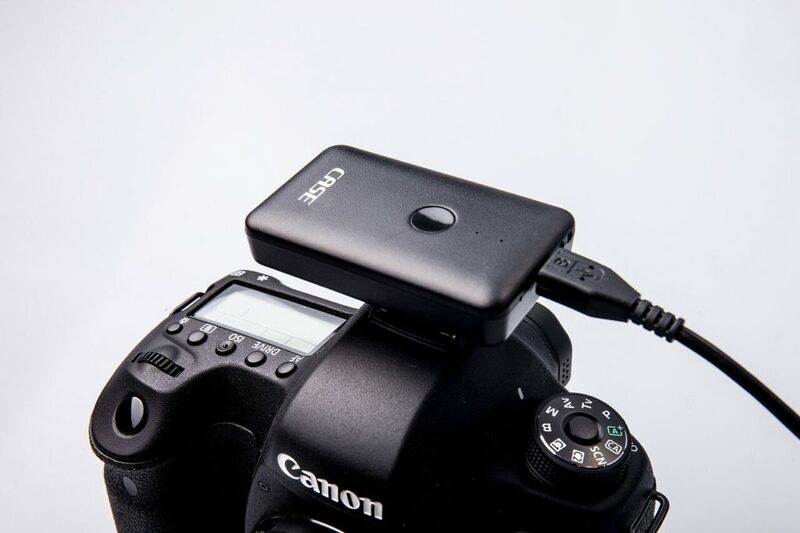 Introducing the world’s smallest WIFI DSLR wireless controller by CheeringTech, the CASE Remote Air. There are plenty of occasions that call for remote control of your camera, like selfies and group shots, time lapses, astrophotography, etc. 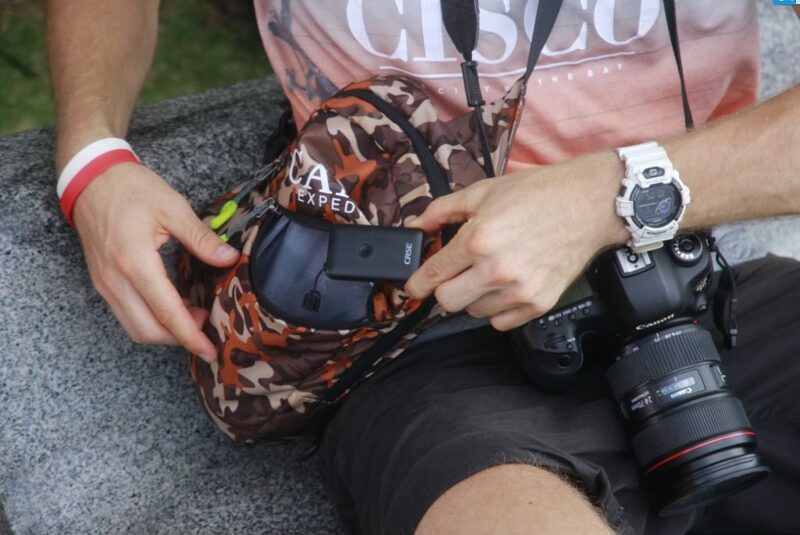 A photography gadget from CheeringTech, called CASE Remote Air, lets you control a DSLR camera from your iOS or Android devices. 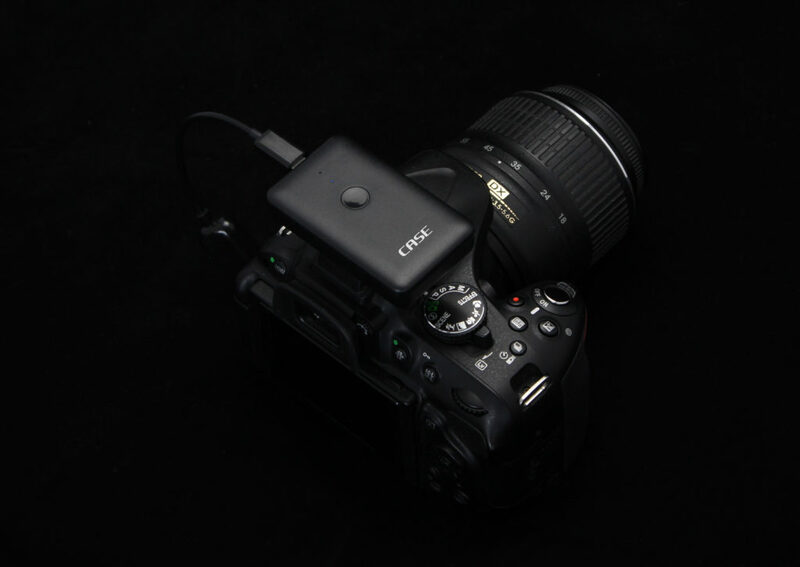 Weighing only 50 grams at 2.4 x 1.6 square inches, the team claimed CASE Remote Air is the smallest WIFI DSLR controller. So, what can the small controller do for our photography? The CASE Remote Air camera controller can generate a WiFi hotspot, providing a wireless connection between cameras and smartphones/computers. With this smart controller, users can remotely set camera parameters and live-view and quick review photos on their smart devices. And, According to development company, CheeringTech, with the assistive functions, the CASE Remote Air is a solution for HDR, bulb, time-lapse and other photography tasks that require advanced camera control skills. 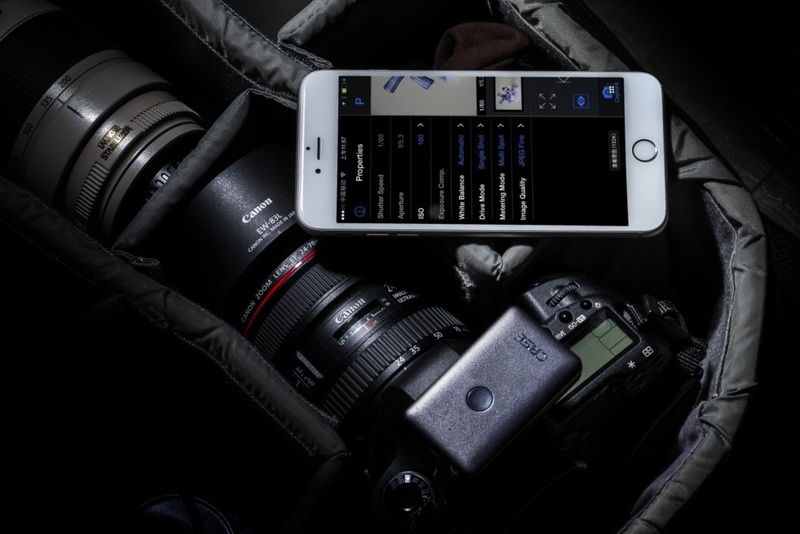 With the built-in CASE App, the controller provides helpful functions like peak focus, RGB histogram and grid, making photography a simpler task for the average user. The maximum distance is 55 yards, allowing the user to operate the camera even from a distance. It can be even a replacement solution for drone video or photography. 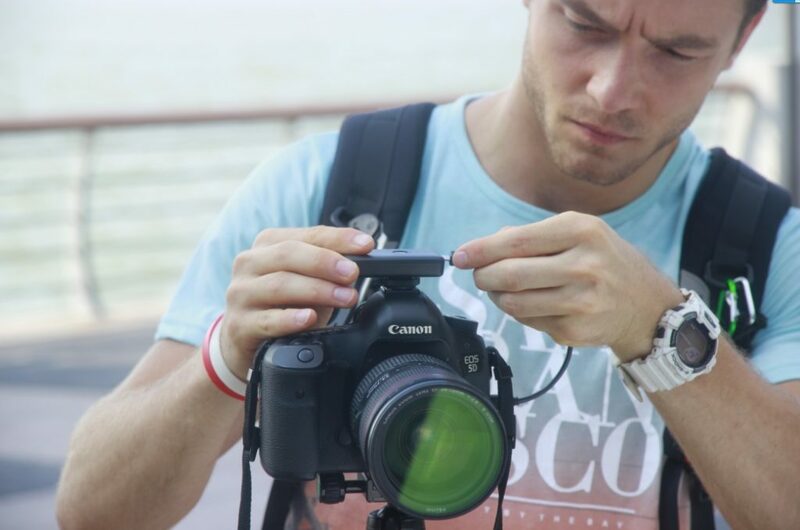 The CASE Air is compatible with almost all Nikons and Canon DSLRs, both iOS and Android systems, and Windows and Mac. As a novel sale pattern and finance method, crowdfunding is always attractive and interesting. You may wonder how does crowdfunding help companies like CheeringTech? This is an interesting story. Actually when Dr. Sun and other team members started CheeringTech, their initial purpose is to build a 3D scanning solution for big companies. After all, most of the team members own PhD degree in engineering, and it seems reasonable that this company should develop high end future products. However, the team found that it is not easy to promote 3D scanning products in the market due to the limited use. 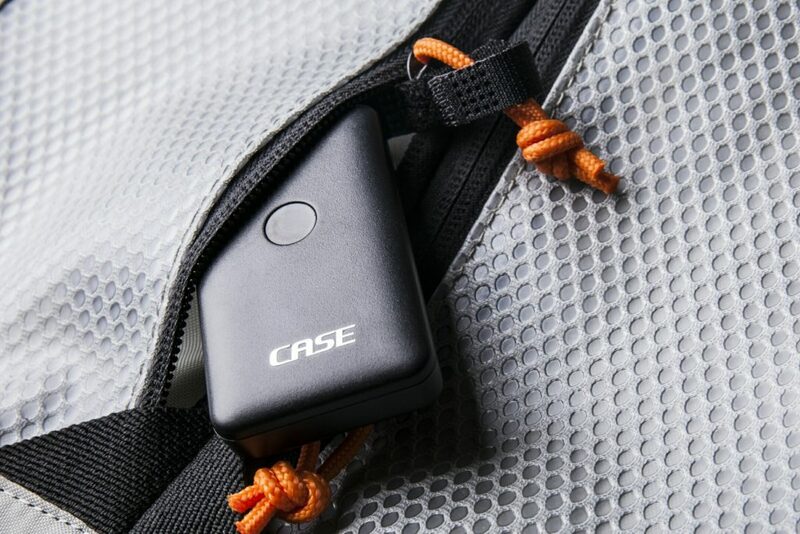 CASE Remote Air Indiegogo campaign video from Meltpartners on Vimeo. To keep the company alive, the team made the decision to move to the camera market, which is related to their research area and is a fast growing market. Due to their rich research experience in image processing, CheeringTech research team soon built a prototype for smart WiFI camera controller, which helps control camera remotely and wirelessly by smart phones or computers. The prototype is square and looks like a box, so they name it CASE Remote. The product is first launched on Indiegogo in 2013 and raised $40,000. With this money, they successfully developed their first sample. However, they are short of money due to the high investment on research. CheeringTech could announce that the project had failed like many other start ups, but they didn’t want to disappoint their first supporters. So they launched another campaign on Indiegogo and raised another $40,000 funding from their backers. Luckily this time the money can cover their development. Soon the product is produced and the customers are satisfied with CASE Remote, their first generation product. CheeringTech was finally successful in the camera market, and later they developed other CASE accessories like CASE Relay. All their products were welcomed in the market. Due to their success experience through crowdfunding, CheeringTech believes that it is very important to communicate with their users. Through the campaign, the backers not only helped their company survive but they also give them a lot of feedback on products. After the campaign, they built CASE community to continue talk with their users. The research team received a lot of helpful feedback from their community, and were able to improve the product based on these feedback. Today, with the upgrading of hardware, the team found it is the time to upgrade CASE Remote. 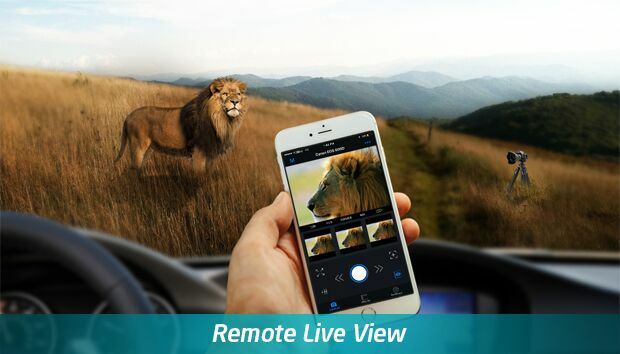 With 6 months of development, they finally have the latest product: CASE Remote Air. So far this is the smallest and smartest WiFi camera controller in the market. Oliver Sun, CEO, Founder and inventor of the CASE Remote Air. Oliver Sun got his PhD degree in 2010, then he joined Intel as a senior engineer. But his real interest was in photography. He wanted to build great photography gear for all photographers. So he quit his well paying job in 2013 and started his own business. He released more than 3 photography gears in just three years, and he plans to bring more and elaborate and unique photography gear in the future. Owen Zhang, Phd from University of Minnesota at Twin Cities. After graduation, I joined Meltpartners to help small start-up. As a photography enthusiast, I personally enjoy the shooting in many national parks. Super fun of high-tech gadgets.